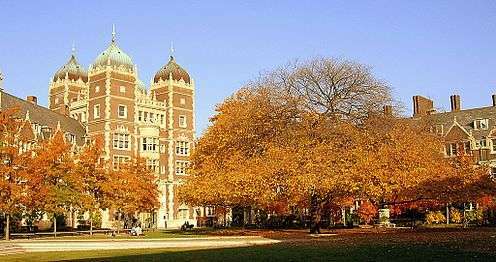 The field is often considered to have begun in 1896 with the opening of the first psychological clinic at the University of Pennsylvania by Lightner Witmer. 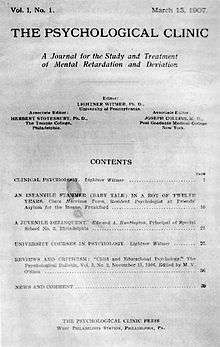 In the first half of the 20th century, clinical psychology was focused on psychological assessment, with little attention given to treatment. This changed after the 1940s when World War II resulted in the need for a large increase in the number of trained clinicians. Since that time, three main educational models have developed—the Ph.D. Clinical Science model (heavily focused on research), the Ph.D. science-practitioner model (focusing on research), and the Psy.D. practitioner-scholar model (focusing on clinical practice). Clinical psychologists are now considered experts in providing psychotherapy, and generally train within four primary theoretical orientations—psychodynamic, humanistic, behavior therapy/ cognitive behavioral, and systems or family therapy. Although modern, scientific psychology is often dated at the 1879 opening of the first psychological laboratory by Wilhelm Wundt, attempts to create methods for assessing and treating mental distress existed long before. The earliest recorded approaches were a combination of religious, magical and/or medical perspectives. Early examples of such physicians included Patañjali, Padmasambhava, Rhazes, Avicenna, and Rumi. 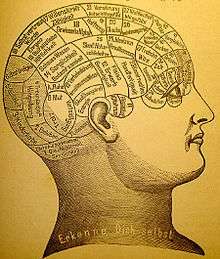 In the early 19th century, one could have his or her head examined, literally, using phrenology, the study of personality by the shape of the skull. Other popular treatments included physiognomy—the study of the shape of the face—and mesmerism, Mesmer's treatment by the use of magnets. Spiritualism and Phineas Quimby's "mental healing" were also popular. While the scientific community eventually came to reject all of these methods, academic psychologists also were not concerned with serious forms of mental illness. That area was already being addressed by the developing fields of psychiatry and neurology within the asylum movement. It was not until the end of the 19th century, around the time when Sigmund Freud was first developing his "talking cure" in Vienna, that the first scientifically clinical application of psychology began. 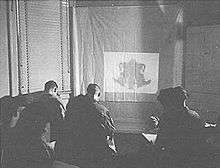 The U.S. army conducts a psychological test developed by clinical psychologists for selection purposes. By the 1960s, psychotherapy had become imbedded within clinical psychology, but for many the Ph.D. educational model did not offer the necessary training for those interested in practice rather than research. There was a growing argument that said the field of psychology in the U.S. had developed to a degree warranting explicit training in clinical practice. The concept of a practice-oriented degree was debated in 1965 and narrowly gained approval for a pilot program at the University of Illinois starting in 1968. Several other similar programs were instituted soon after, and in 1973, at the Vail Conference on Professional Training in Psychology, the practitioner–scholar model of clinical psychology—or Vail Model—resulting in the Doctor of Psychology (Psy.D.) degree was recognized. Although training would continue to include research skills and a scientific understanding of psychology, the intent would be to produce highly trained professionals, similar to programs in medicine, dentistry, and law. The first program explicitly based on the Psy.D. model was instituted at Rutgers University. Today, about half of all American graduate students in clinical psychology are enrolled in Psy.D. programs. Published by the American Psychiatric Association, the DSM-IV-TR provides a common language and standard criteria for the classification of mental disorders. After assessment, clinical psychologists often provide a diagnostic impression. Many countries use the International Statistical Classification of Diseases and Related Health Problems (ICD-10) while the U.S. most often uses the Diagnostic and Statistical Manual of Mental Disorders (the DSM version IV-TR). Both assume medical concepts and terms, and state that there are categorical disorders that can be diagnosed by set lists of descriptive criteria. Some clinical psychologists do not tend to diagnose, but rather use formulation—an individualized map of the difficulties that the patient or client faces, encompassing predisposing, precipitating and perpetuating (maintaining) factors. The field is dominated in terms of training and practice by essentially four major schools of practice: psychodynamic, humanistic, behavioral/cognitive behavioral, and systems or family therapy. Behavior therapy is a rich tradition. It is well researched with a strong evidence base. Its roots are in behaviorism. In behavior therapy, environmental events predict the way we think and feel. Our behavior sets up conditions for the environment to feedback back on it. Sometimes the feedback leads the behavior to increase- reinforcement and sometimes the behavior descreases- punishment. Oftentimes behavior therapists are called applied behavior analysis. They have studied many areas from developmental disabilities to depression and anxiety disorders. In the area of mental health and addictions a recent article looked at APA's list for well established and promising practices and found a considerable number of them based on the principles of operant and respondent conditioning. Multiple assessment techniques have come from this approach including functional analysis (psychology), which has found a strong focus in the school system. In addition, multiple intervention programs have come from this tradition including community reinforcement approach for treating addictions, acceptance and commitment therapy, functional analytic psychotherapy, including dialectic behavior therapy and behavioral activation. In addition, specific techniques such as contingency management and exposure therapy have come from this tradition. Systems or family therapy works with couples and families, and emphasizes family relationships as an important factor in psychological health. The central focus tends to be on interpersonal dynamics, especially in terms of how change in one person will affect the entire system. Therapy is therefore conducted with as many significant members of the "system" as possible. Goals can include improving communication, establishing healthy roles, creating alternative narratives, and addressing problematic behaviors. Contributors include John Gottman, Jay Haley, Sue Johnson, and Virginia Satir. Existential – Existential psychotherapy postulates that people are largely free to choose who we are and how we interpret and interact with the world. It intends to help the client find deeper meaning in life and to accept responsibility for living. As such, it addresses fundamental issues of life, such as death, aloneness, and freedom. The therapist emphasizes the client’s ability to be self-aware, freely make choices in the present, establish personal identity and social relationships, create meaning, and cope with the natural anxiety of living. Important writers in existential therapy include Rollo May, Viktor Frankl, James Bugental, and Irvin Yalom. One influential therapy that came out of Existential therapy is Gestalt therapy, primarily founded by Fritz Perls in the 1950s. It is well known for techniques designed to increase various kinds of self-awareness—the best-known perhaps being the "empty chair technique"—which are generally intended to explore resistance to "authentic contact", resolve internal conflicts, and help the client complete "unfinished business". Transpersonal – The transpersonal perspective places a stronger focus on the spiritual facet of human experience. It is not a set of techniques so much as a willingness to help a client explore spirituality and/or transcendent states of consciousness. It also is concerned with helping clients achieve their highest potential. Important writers in this area include Ken Wilber, Abraham Maslow, Stanislav Grof, John Welwood, David Brazier and Roberto Assagioli. In the last couple of decades, there has been a growing movement to integrate the various therapeutic approaches, especially with an increased understanding of cultural, gender, spiritual, and sexual-orientation issues. Clinical psychologists are beginning to look at the various strengths and weaknesses of each orientation while also working with related fields, such as neuroscience, genetics, evolutionary biology, and psychopharmacology. The result is a growing practice of eclecticism, with psychologists learning various systems and the most efficacious methods of therapy with the intent to provide the best solution for any given problem. 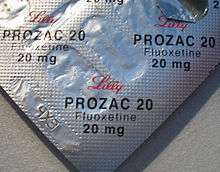 Fluoxetine hydrochloride, branded by Lilly as Prozac, is a common antidepressant drug prescribed by psychiatrists. There is a small but growing movement to give prescription privileges to qualified psychologists. Clinical psychologists generally do not prescribe medication, although there is a growing movement for psychologists to have prescribing privileges. These medical privileges require additional training and education. To date, medical psychologists may prescribe psychotropic medications in Guam, New Mexico, and Louisiana and military psychologists. Counseling psychologists study and use many of the same interventions and tools as clinical psychologists, including psychotherapy and assessment. Traditionally, counseling psychologists help people with what might be considered normal or moderate psychological problems—such as the feelings of anxiety or sadness resulting from major life changes or events. Many counseling psychologists also receive specialized training in career assessment, group therapy, and relationship counseling, although some counseling psychologists also work with the more serious problems that clinical psychologists are trained for, such as dementia or psychosis. There are fewer counseling psychology graduate programs than those for clinical psychology and they are more often housed in departments of education rather than psychology. The two professions can be found working in all the same settings but counseling psychologists are more frequently employed in university counseling centers compared to hospitals and private practice for clinical psychologists. There is considerable overlap between the two fields and distinctions between them continue to fade. The following represents an (incomplete) listing of significant journals in or related to the field of clinical psychology. ↑ Routh, Donald (2000). "Clinical Psychology Training: A History of Ideas and Practices Prior to 1946". American Psychologist. 55 (2): 236. doi:10.1037/0003-066X.55.2.236. PMID 10717971. 1 2 3 Norcross, J. & Castle, P. (2002). "Appreciating the Psy.D: The Facts". Eye on Psi Chi. Vol. 7 no. 1. pp. 22–26. 1 2 Jablensky, Assen (2005). "Categories, dimensions and prototypes: Critical issues for psychiatric classification". Psychopathology. 38 (4): 201. doi:10.1159/000086092. PMID 16145275. ↑ Mundt, Christoph & Backenstrass, Matthias (2005). "Psychotherapy and classification: Psychological, psychodynamic, and cognitive aspects". Psychopathology. 38 (4): 219. doi:10.1159/000086096. PMID 16145279. ↑ Blatner, Adam. (1997). The Implications of Postmodernism for Psychotherapy. Individual Psychology, 53(4), 476-482. ↑ Seligman, M.; Rashid, T. & Parks, A. (2006). "Positive Psychotherapy.". American Psychologist. 61 (8): 774–788. doi:10.1037/0003-066X.61.8.774. PMID 17115810. ↑ Norcross, John & Goldfried, Marvin (2005). "The Future of Psychotherapy Integration: A Roundtable". Journal of Psychotherapy Integration. 15 (4): 392. ↑ Klusman, Lawrence (2001). "Prescribing Psychologists and Patients' Medical Needs; Lessons From Clinical Psychiatry". Professional Psychology: Research and Practice. 32 (5): 496. doi:10.1037//0735-7028.32.5.496. ↑ Norcross, John (2000). "Clinical versus counseling psychology: What's the diff?". Eye on Psi Chi. 5 (1): 20–22. ↑ International Society of Psychiatric-Mental Health Nurses (2001). "Response to Clinical Psychologists Prescribing Psychotropic Medications" (PDF). Retrieved 2007-03-03. ↑ "Psychology: a reality check". Nature 461 (Editorial): 847. 15 October 2009. doi:10.1038/461847a. Published online 14 October 2009.